Time to book your dive vacation on the world’s healthiest barrier reef with some of the most affordable stay and dive packages in the Caribbean! West End Divers is now offering NEW Stay and Dive Packages! Offering the best in Scuba Diving or Padi Scuba Instruction with a week of accommodation in one package! Our Stay and Dive Packages start at only $490 pp/do. You get 10 open water fun dives, and 7 nights accommodation!! Of course you can dive more, and custom packages are available! We are very excited to announce that in addition to our successful Stay and Dive Packages offered in partnership with the newly renovated Mariposa Lodge, we now have other Hot Deals to offer you. Check out our different Stay and Dive Packages and pick up the one which fits your needs best!! 10 Fun Dives plus 7 nights accommodation. 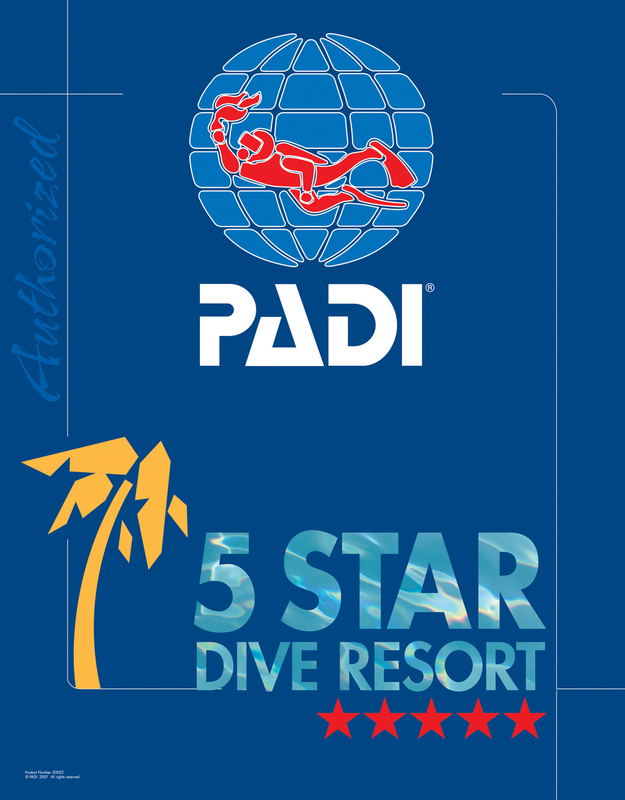 Padi Open Water Certification plus 7 nights accommodation. Padi eLearning Open Water Certification with 3 fun dives, plus 7 nights accommodation. Padi Advanced Open Water Certification with 2 Fun Dives, plus 7 nights accommodation. Private rooms are available with a single supplement. Air conditioned apartments and premium room packages available. Additional dives are charged at $35 each. Night dives are $60. Dive light rental is $5 per dive. Special Excursions and All Day Trips are at regular posted prices. Guarantee: In the unlikely event we are unable to take our guests diving due to weather, or other issues beyond our guests’ control, package prices will be discounted to reflect missed dives at $35 each. Step 3: It is time to reserve your spot and pack your bag! These two separate, cute little mini-apartments are only 200 yards from our dive shop and are suitable for a couple or a single. The apartment is a very convenient place with kitchenette, a separate large shower room and a private terrace with a view on the tropical garden. Located in a very quiet neighborhood, it offers wifi, TV and washer access but no A/C. The newly renovated Mariposa Lodge is only 100 meters from West End Divers. Surrounded by a tropical garden, it offers a choice of 3 different options from Premium rooms to King Suites. 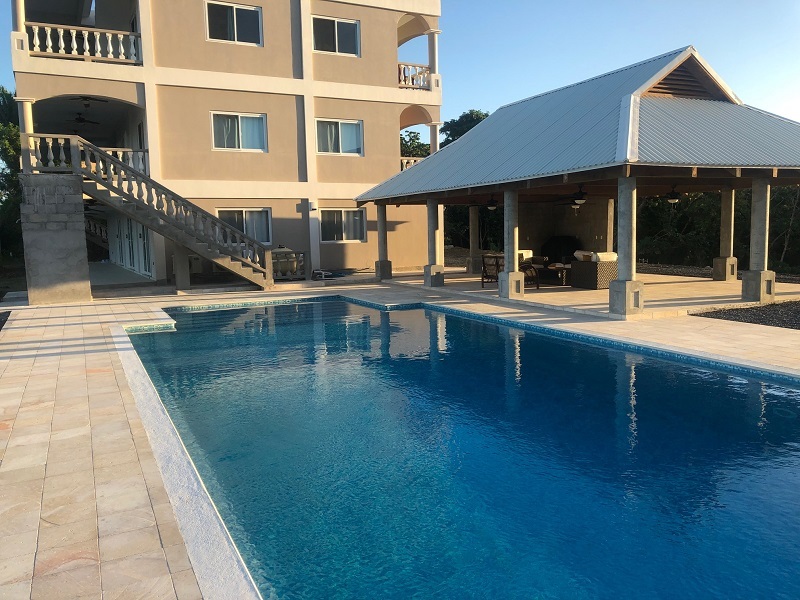 All the apartments have Wifi, A/C, a well equipped kitchen, spacious decks with hammocks and access to the swimming pool to provide a quiet and restful escape after your dives. Personal attention and friendly service is the only way to go for the hosts: Mike and Sue! The 3 Villas suites with a breathtaking ocean view are a perfect peaceful getaway from the hustle and bustle. Each of these spacious and luxurious rooms have 2 queen beds and a private bathroom with shower. They are all equipped with a full kitchenette (with full refrigerator, microwave, toaster, coffee machine and stove), a flat screen with DVD player, A/C and Wifi. Each suite has its own porch with dining table, and as SeaRay guests, you will also have access to the large Swimming pool, the palapa with BBQ area and on-site laundry facility. You can reach the center of West End and the dive shop within a 10-minute car ride. Transportation to/from the dive shop and the airport shuttle is not included but can be arranged on request. This penthouse is a beautiful and comfortable 2 bedroom/2 bathroom apartment located on the top floor of Villa Grazia, a private Villa surrounded by a tropical garden and ideal for a quiet getaway! The unit has a master bedroom and an additional panoramic bedroom with sea view and a terrasse. A comfortable living room and a kitchen give access to another terrasse with sea view. Wifi, TV, washer access and A/C are offered. As a Villa Grazia guest, you will also have access to the garden, the little salt water pool in front of the ocean and to the hidden terrasse dock which is perfect for a relaxing moment to enjoy the sunset and a refreshing sea breeze. You can reach the center of West End Village within a 10-minute walk. This apartment is 200 yards from our dive shop and located on a hilltop that isolates it from the noise of West End. Point of View is a large 2-story apartment surrounded by a beautiful garden. The first floor has a living room with 2 single sofas that can each serve as a bed, a large fitted kitchen with a large terrace and a small toilet. On the second floor a double bedroom with bathroom and a large shower open up to an outside rooftop terrace with sea view hammocks and sun loungers. Wifi and A/C are included. This beautiful and spacious 4 Bedroom/3 Bath villa is only a few steps from the sea and a 7-minute walk from our dive shop. Casa Kal has a fully equipped kitchen with a living room opening to a large deck with sea view, hammocks and BBQ. 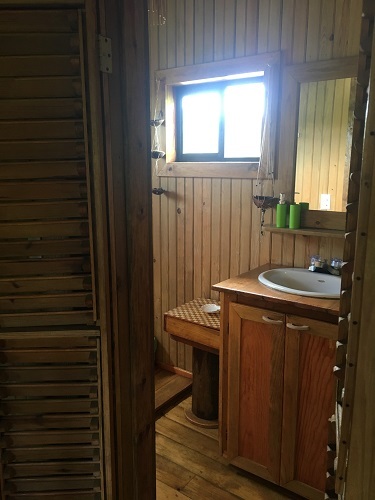 This comfortable house has wifi, A/C, 2 double bedrooms, a queen bedroom and the master bedroom on the top floor with private terrace and a king sized bed. It is the ideal place to have a relaxing time with your family or a group of friends! This really atypical 3-story house offers 3 different rooms for rent. Each room accommodates 2 persons with a 4-poster bed and it's own private deck. Lily Pond guests enjoy free breakfasts and airport transfers. Zach, the host, can also arrange for you a delicious and romantic dinner at the restaurant. Don’t miss the awesome ocean view on the roof top! !